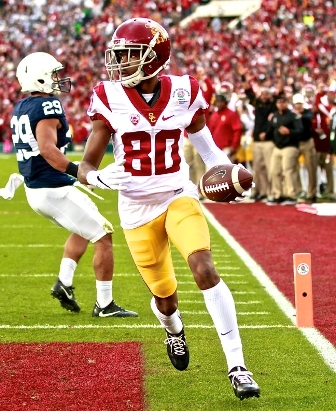 USC football started their year with a bang by outscoring the Penn State Nittany Lions 52-49 in the Rose Bowl. The final score was one of the highest in Rose Bowl history. The private school known to recruit Southland talent acquired Hawkins High School standouts Greg Johnson and Joseph Lewis, making national headlines on National Signing Day. Throughout the 2017 season, USC was dominant; resulting in a 11-2 overall record and the Pac-12 Championship title 31-28 over the Stanford Cardinal. When San Diegans refused to build a new stadium, the Chargers announced their move to Los Angeles in January. The precision passes of Philip Rivers and agility of Melvin Gordon was now to be showcased in the StubHub Center in Carson. Despite their 0-4 start, Antonio Gates broke the tight end record for most touchdowns early in the season. The move also allowed nose tackle Brandon Mebane and linebacker Hayes Pullard a chance to defend their hometown. 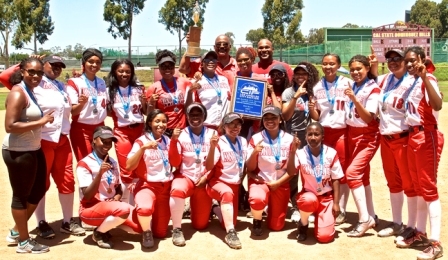 In their second year of existence, the View Park Knights softball team earned the Division III City Championship. The Knights finished the season with a 15-7-1 overall record and 9-5-0 record in the Coliseum League. They battled against the Huntington Park Spartans in the Championship game, where the Knights earned a 2-3 victory. 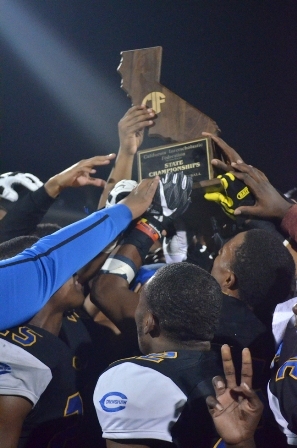 The Crenshaw Cougars football team built a dominant season, going 8-2 overall and undefeated in Coliseum play. 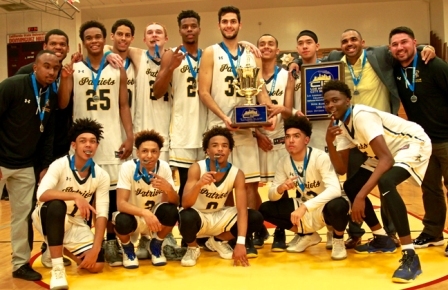 Their performance earned the Cougars a second seed in the inaugural Open Division City Section playoffs; However, they lost to the Narbonne Gauchos 48-7 in the Championship game. Crenshaw qualified for the Division 4AA State tournament. The Cougars defeated the Placer Hillmen of Auburn, CA 46-43. Cougars football head coach Robert Garrett was named Coach of the Year by the L.A. Chargers. After leading the UCLA Bruins to the Sweet 16, Lonzo declared to the 2017 draft. To create cap space for the coveted guard, the Los Angeles Lakers traded veteran center TimofeyMozgov and guard D’Angelo Russell to the Brooklyn Nets for seven-footer Brook Lopez and the no. 27 overall pick. Ball currently averages 7.0 assists, 33.8 minutes, 6.9 rebounds and 10.0 points per game. The Lakers also acquired Rookie of the Month Kyle Kuzma and Josh Hart on Draft Night. 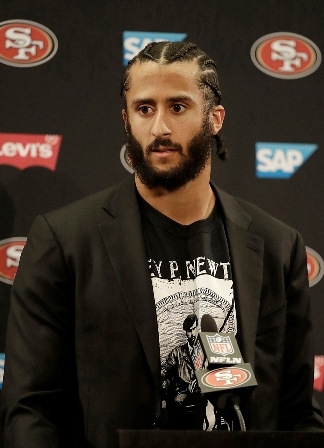 In the off season, quarterback Colin Kaepernick opted out of his contract with the San Francisco 49ers. As the months went by, no team seemed to show interest. The New York Giants owner explained how fans threatened to not attend games if they signed Kaepernick. To support the free agent, members of the NYPD held a demonstration wearing shirts that say #ImWithKap. Kappa Alpha Psi fraternity Inc. sent a letter to the NFL to support Kaepernick’s cause. Many NFL players showed their support of Kaepernick by kneeling, linking arms or staying in the locker room while the National Anthem was played after Donald Trump made obscene comments on his protests. Inglewood High School alum Paul “The Truth” Pierce retired after 19 seasons in the NBA from the L.A. Clippers. With the Boston Celtics, Pierce won a championship and Finals MVP after defeating the Lakers in the 2008 NBA Finals. The Oakland native spent 15 seasons with the Boston Celtics, playing alongside Ray Allen and Kevin Garnett. The Celtics will retire his No. 34 jersey in February 2018. For the first time in their school history, the Birmingham Patriots won a boys’ basketball city championship. Brothers Devante and DevonaireDoutrive combined for 50 points, aiding the Patriots to a 85-80 victory over the Westchester Comets in the Open Division title matchup. Birmingham had a 27-4 overall record and a 10-0 record in the West Valley League. For the first time since 1981, four Americans qualified for the U.S. Open Semifinals. Three of the four semifinalists were Black, which was a first in the tournament history. Sloane Stephens defeated tennis icon Venus Williams and Madison Keys defeated CoCoVandeweghe. Stephens defeated Keys 6-3, 6-0 in the championship game. After six seasons with the L.A. Clippers, NBA assist dynamo Chris Paul joined the Houston Rockets. In exchange, Houston traded seven players, one top three first round draft pick in 2018 and $661,000. Although he has struggled with injuries, Paul has helped Houston to a Western Conference-pacing 25-6 overall record. This strong defensive mind led the WNBA in steals with 2.09 steals per game. Beard’s ability to force turnovers assisted the Sparks to a 26-8 overall record. The Louisiana native also averaged 0.5 blocks and 6.9 points per game. With 653 career steals, Beard is fourth in the WNBA in all-time steals. The girls track team qualified for the 4x100m, 100m, and 200m events. 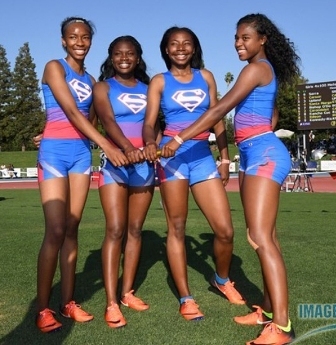 The Cavaliers came in first place in the 4x100m, outperforming Southern Section Schools Upland and Santa Margarita. Sprinter Jasmine Reed came in second in the 100m and third in the 200m. The legacy of MLB great Jackie Robinson was further immortalized with statues erected at both Dodger Stadium and the Rose Bowl. The Dodger Stadium statue was unveiled on April 15, which is known as Jackie Robinson Day throughout major league baseball. The Rose Bowl statue depicts Robinson in a football uniform to commemorate his successful football career at Pasadena City College and his two Rose Bowl appearances. The dynamic duo helped the Lakers get a threepeat, an accomplishment that no NBA player was able achieve since. In March, a hanging statue of Shaquille O’Neal was unveiled at the Staples Center. In December, the Lakers retired Kobe Bryant’s No. 8 and No. 24 jersey. Both players attended each other’s ceremonies. Their efforts added on to the Lakers winning legacy. Out of the NBA, the Lakers have the second highest number of championships. In January 2017, Serena Williams defeated Venus to win the Australian Open. 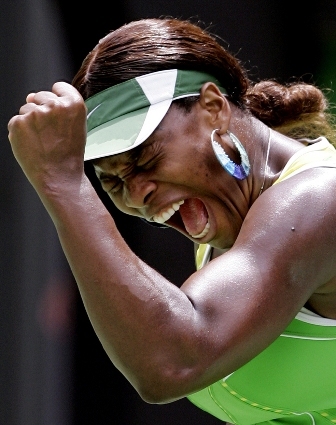 In the Grand Slam win, Serena surpassed Steffi Graf for most grand slams in the Open Era. The match up marked the ninth time the William sisters met in a Grand Slam Finals. Serena had bested Venus for the seventh time. Serena then returned to the throne of the No. 1 ranking, bumping down German tennis player Angelique Kerber. The Jamaican sensation took his final races during the IAAF Championships in London. 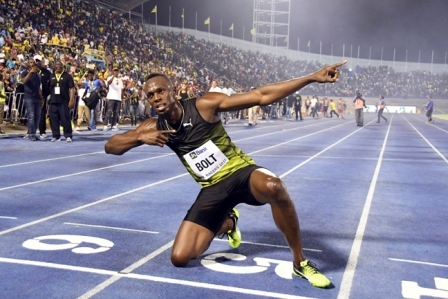 In the 100m, Bolt placed third to Team USA’s Justin Gatlin and Christian Coleman. Unfortunately, Bolt became injured during the 4x100m race. Yet, fans and competitors honored him on his farewell heats. Bolt won three consecutive Olympic gold medals for the 100m and 200m and two Olympic gold medals for the 4x100m. The well-rounded student and powerful pitcher forewent a college career to be drafted to the Cincinnati Reds. Greene committed to UCLA at the age of 14; he could pitch 95mph and hit the ball 400 feet by his sophomore year in high school. As his fame grew, Greene began doing more humanitarian work. Greene signed a $7.23 million contract, the highest bonus since the new draft system was implemented.